For recipes to make the soups at the Summer Reading Workshop, please click on the link below. 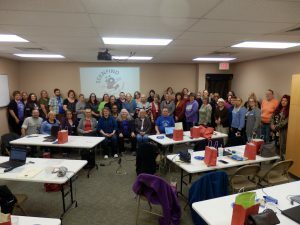 Mound Valley Public Library is now the 47th library to join SEKnFind. Welcome to SEKnFind as today is their go-live date. Hoopla service for SEKLS public and academic participating libraries officially launched Nov. 27. Hoopla allows your patrons to borrow (stream or download) digital materials to enjoy on their computer, tablet, phone, or smart TV. Hoopla has about 650,000 titles, including movies, music, audiobooks, ebooks, comics and TV shows. For the initial period (until funds deposited in 2018 are exhausted) SEKLS will pay the entire cost. After that, SEKLS will place funds in library accounts monthly. You will pay for charges monthly for your patrons beyond what SEKLS funds cover. 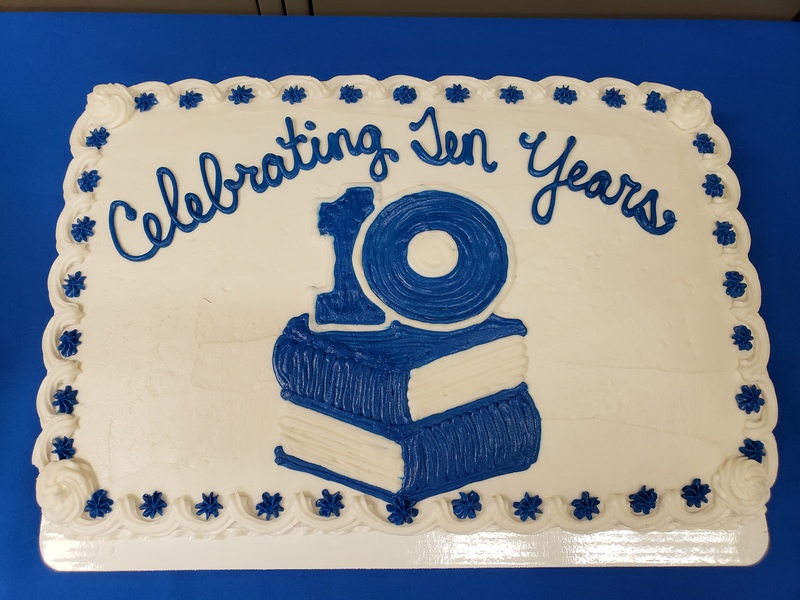 Photos from today’s SEKnFind User’s Group meeting, where we celebrated the 10th anniversary of SEKnFind, our regional shared ILS. No more than five awards will be given in any year; fewer may be given. Any staff member, trustee, or supporter affiliated with an SEKLS library may make a nomination, including for their own library. Awards will carry a $1,000 cash award to the library, a trophy for the winner, and the winner’s name attached to a traveling plaque. Click here to find the complete guidelines and the nomination form . Academic-School Extended Service Grant guidelines have been revised. Grant amounts are now determined by two factors: the number of FTE students enrolled at the institution, and the percentage of total circulation which is to non-students and non-staff of the institution. For the complete guidelines, go to Academic/School Guidelines. For 2018 allocations, the amount which may be earned above base is going from 85% to 95%, and two new criteria are being added. One is completion of a Continuing Education Implementation Project, which can earn 5% above base. The other, also worth 5% above base, is meeting the standard for Internet bandwidth as set out in the 2016 Public Library Standards for Kansas. For 2018 only, libraries can qualify for the 5% above base by meeting the bandwidth one level below the standard for your library (for the lowest category, 1 to 5 Internet computers, libraries would need to have bandwidth of at least 5 Mbps). For 2019, libraries will need to meet the full standard in order to qualify. To see the bandwidth requirements, go to Recommended Internet Bandwidth. The 2018 allocation criteria is available here. The Continuing Education Implementation Project guidelines have been revised. The main changes are that libraries can now have up to 6 months after a workshop before deciding to do an implementation project, and continuing education other than SEKLS workshops can be used. Click on these links for the guidelines and the proposal form. Click the following link for the public library internet access policy requirements for children’s internet protection.